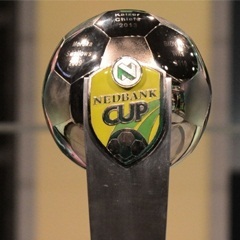 Cape Town - Mamelodi Sundowns have been drawn against Mpumalanga Black Aces in the quarter-final draw of the Nedbank Cup held in Johannesburg. Pitso Mosimane will be wary of the threat posed by Black Aces, as his side will have to travel to Mpumalanga as they go in search of a place in semi-finals while SuperSport United will entertain former Bafana Bafana striker Shaun Bartlett’s Golden Arrows. Following a shock victory over Kaizer Chiefs, Zeca Marques and his Black Leopards charges will look forward to having ago at NFD rivals, Vasco Da Gama. Arguably biggest game of the last 8 sees Ajax Cape Town take on PSL contenders Bidvest Wits. Roger de Sa will be hoping to get one over his former team. The venues are yet to be confirmed as the matches are set to take place on April 11/12.